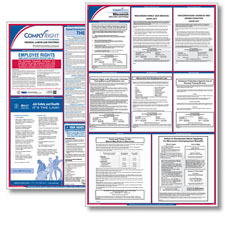 The Wisconsin Unemployment Insurance poster has been updated to reflect that employers must now provide their unemployment insurance account business name and address on the poster for employee reference. 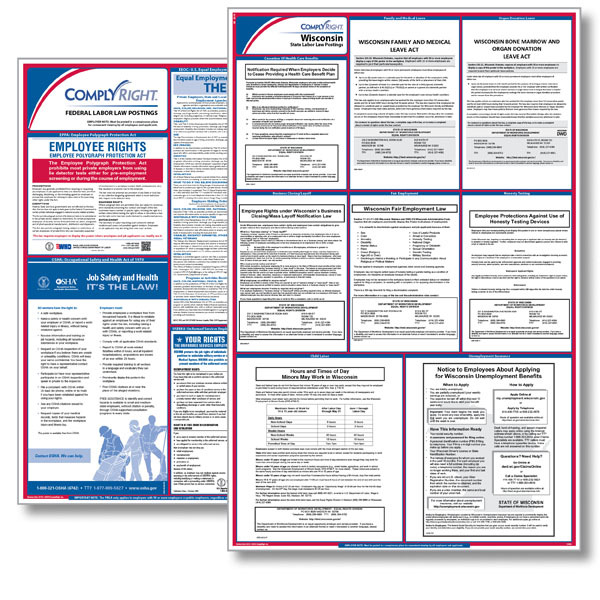 The Wisconsin Unemployment Insurance poster has been updated with additional information on how to apply for unemployment benefits. The Wisconsin Child Labor poster has been updated to reflect certain occupations minors under 14 years of age are allowed to work subject to the same hour and day restrictions as minors who are 14 or 15 years of age. The Wisconsin Family and Medical Leave Act poster was updated to reflect the statute which defines domestic partner. This is a mandatory change.